Sometimes a part number etches itself in my memory so well, it seems like I'll never forget it. I know that an MS20470AD4-4 rivet is a universal rivet with a .125 inch diameter head, and is .250 inches long. Other times, I couldn't remember a part number to save my life. It really depends on how often I work with a given component. This is the first Fusion 360 component I've created in a long time! 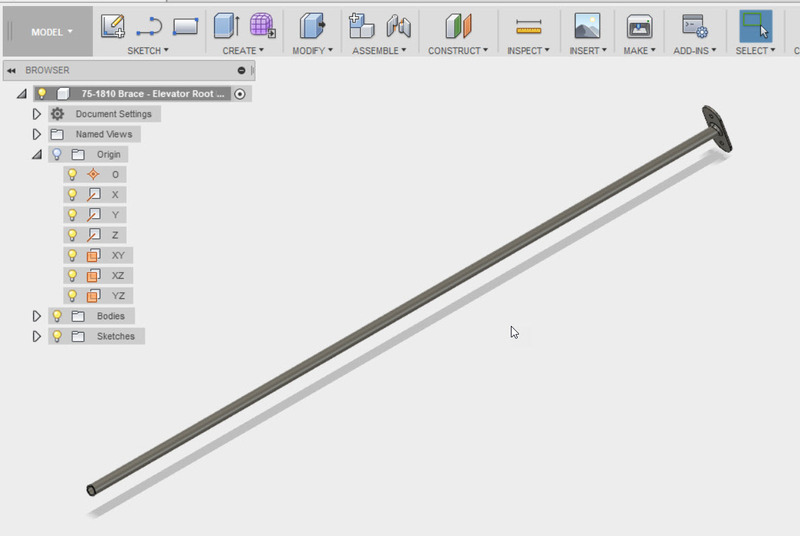 The parts I create in Fusion 360 tend to fall into the latter category. I find I'm creating parts when I have time between work and my school studies. That means I need to find an effective way to find parts when it comes time to look for them again. 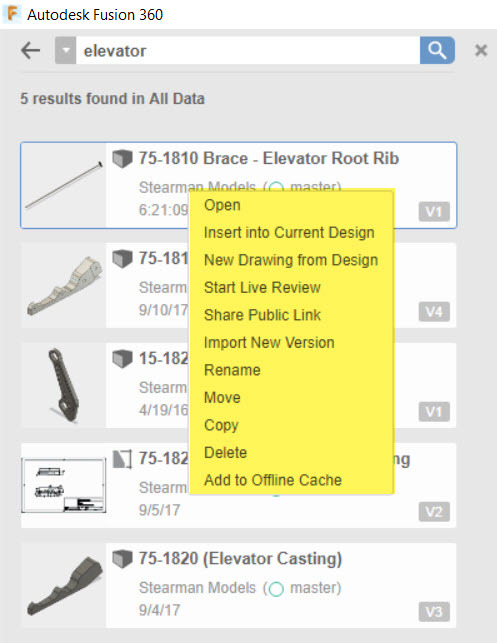 The thing I found that helps is to include a short description with the part number in the component name. Typing the part number, and description in the name. 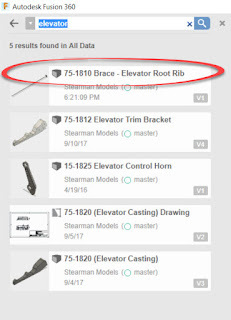 It helps when searching for files when the part number escapes me, which it often does. Fortunately, Fusion 360 provides a means to search a project using it's name. It's accessed by clicking on the magnifying glass shown in the image below . Choose the magnifying glass to begin a search. Next, the scope of the search can be controlled by clicking on the pulldown menu. 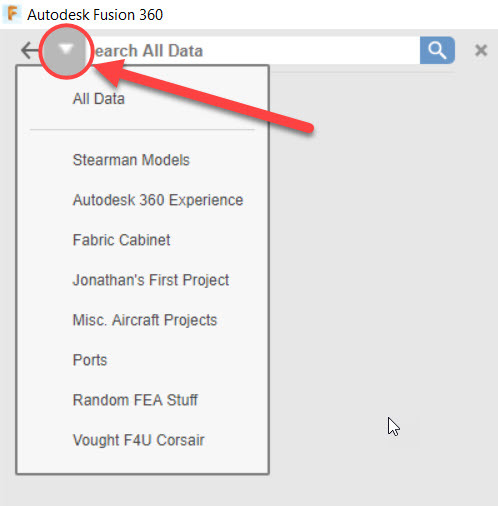 All your Fusion 360 can be searched, or just a given project, just choose it! Choosing the scope of data to search. 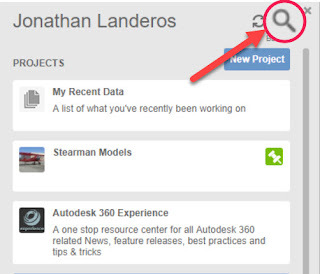 Once the scope of the search is selected, type in the data to be searched for, it can be any part of the description. It doesn't have to be complete. Just a portion of the data will do! A list of data meeting the search criteria will be shown. This includes the component I created at the beginning of this blog. 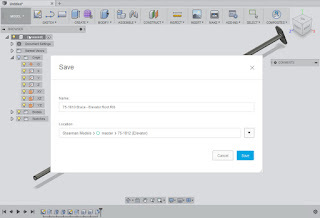 Now double clicking will open the component. 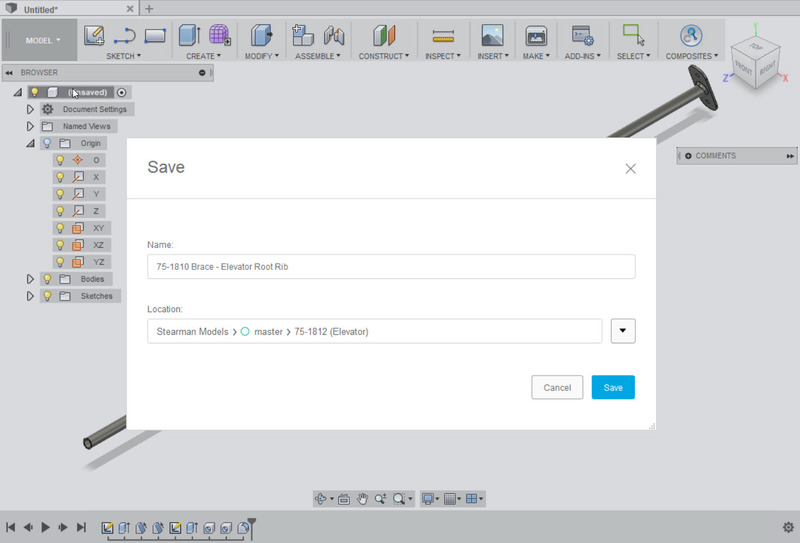 Or if you prefer, right clicking will show multiple functions for the component. The same options if you had navigated to the file manually! The right click options are highlighted in yellow. So give this a try when you need to find a component quickly. 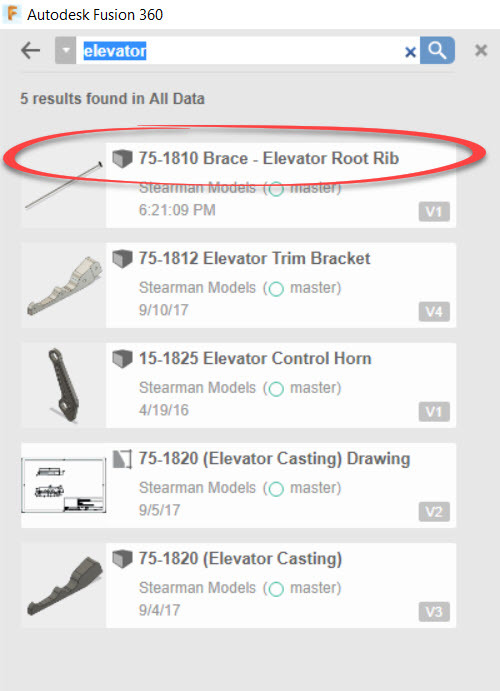 I know it's helped me find components after I've been away from Fusion 360 for a while! 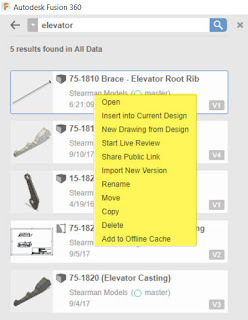 And last of all, I'd suggest adding the part number, assuming you have one, the other thing I suggest is keeping the file description as simple and effective as possible. I like to use a description similar to what I would put in a drawing title block. Good luck in your design and data managing challenges!